A story that is circulating about a terminally ill woman, known as the Layaway Angel, really made me start to think about all the clients we serve. The families had all fallen behind on their payments. Enter the Back to School Angel. “She was here about 15 minutes. She paid off 16 the layaways in cash, about $3,000. Then she said I’m not feeling well I need to leave,” recalled Beane. My first thought, (as a manager of volunteers) was, wow, I hope she is on hospice and I hope she has a volunteer. 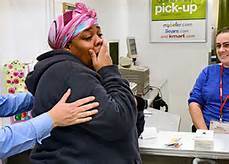 It sounded like she entered the store alone and I immediately pictured in my head a smiling volunteer accompanying her, helping her walk up to the counter. I thought about this lady’s last days, maybe sans family and friends and how a caring volunteer could sit with her, reminiscing about her life and doing, well, what a volunteer does best. I thought about that until I stopped thinking like I had my office phone in one hand and the computer keyboard in another. It’s ingrained (and I mean cemented!) into our cranium that we “see” the potential for a volunteer. Scrape a knee? A volunteer can bandage that right up. Need some Twinkies? I think a volunteer can run through that Quickie Mart just fine. See, that’s how we view the world. How do our volunteers fit in to help? But then I don’t know this woman. I don’t know her condition, her life history, her wants, needs, pet peeves or personality. Maybe she wouldn’t want a volunteer. Maybe she’s super independent and wants to be alone. Maybe she’s a person who doesn’t need help. (Whoa, that’s not possible, is it?). Then I started thinking about all the volunteers who tell me how much they learn from the people they serve. Maybe a patient is using a volunteer, Jose to just sit with him while his wife goes to the store. Jose, who is trying to perfect his English, ends up learning that the patient emigrated from Italy and struggled to learn English, but managed to raise six kids who all became successful. Or Claudia, who while visiting a patient learns that the patient lost a child many years before. And Claudia, who had also lost a child, finds a deep connection with this patient, finding solace in her visits. Or the volunteer, Karen, who was just laid off, volunteers with clients who survived the great depression. Honestly, who benefits more from the relationships that are formed between volunteer and client? Volunteers always say they get more than they give and they are probably right. 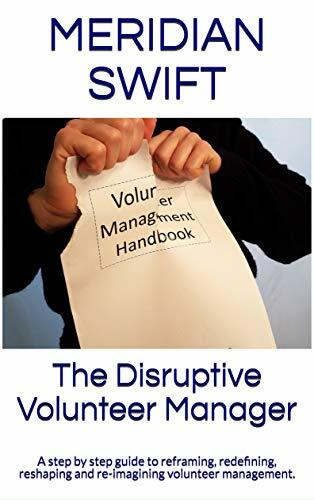 Those who volunteer doing the one on one work get hooked and want to do it again and again. It’s an addiction to soul candy. And ironically, the ones who get the most from their volunteering are not the needy ones nor the selfish ones. No, the ones who get the most are the ones who approach it with humility, by putting the focus on the client. The more they do that, the more they reap the rewards. Those who go looking for soul candy are usually so distracted by their own needs they miss the trail of candy bits that leads them to the dish. 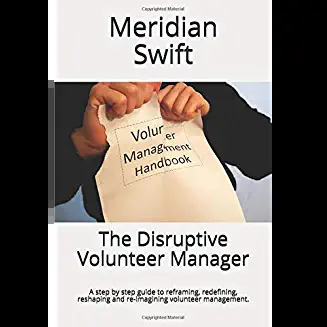 So, when I look at that story, and think like a volunteer manager, I wish she had a volunteer because I try to imagine the help a volunteer can lend to her journey. I have to admit though, I don’t know what that might be. But can that Layaway Angel teach a person lucky enough to volunteer for her something profound about life? Hmmm, it sure seems so. Therefore, I stand by my original wish. I wish she had a volunteer: But maybe someone to teach. I kinda wish it were me.